And don’t forget about outdoor lighting. How about an energy saving LED or transitional hanging lights so you can enjoy the back yard when the sun goes down? You can save yourself tons of time by shopping online at lighting stores like Crescent Harbor. You don’t have to take the time to load up the kids to drive around to a number of stores to find what you’re looking for. You can sit outside in the sun on your tablet, or even your phone. Then all you have to do is scroll through the lighting store’s selection, choose which products you want, proceed to checkout, order your designer lighting, and get it delivered to your door. If you have any questions. all you have to do is send a message to their customer service department. Most online lighting stores have a customer service agent available to answer questions via a live chat screen. Since online lighting stores like Crescent Harbor don’t have the overhead costs of staffing a warehouse and showroom you as the consumer reaps the benefits. When you shop online, you can purchase designer products inexpensively. • Do they have a large selection, good reputation, and is it easy to deal with customer service department? • Do they make it easy or almost impossible to return items? • Do they offer free shipping when you order a set amount? • Is it easy to ask questions about products before buying? 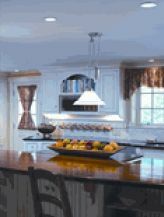 At Crescent Harbor, we take pride in offering our consumers beautiful products on our online lighting store. To see our wide selection of designer lighting pieces, you can check them out on our website.